Symphony Fari is a fashion model, youtuber, CEO, photographer, social influencer, and public figure. The15 year old mogul was born and raised in Connecticut. Her career began with her business called Empowering Through Beauty, empowering battered women and girls through beauty by providing services to make them feel special. With this, she was featured on magazines, newspapers, and social media platforms. Being the biggest, she was seen on the "Harry Connick Jr. Show". Symphony enjoys the opportunity to create with others whether it's fashion, music or with social influencers and/or brands. She is constantly launching ideas and is ready to take charge in this year. She is looking to be apart of your talent agency. Her social links are as follows. Demographic data for @symphonyfari's audience is available for free to influence.co users. 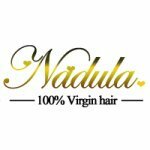 Nadula Hair, Your Best Choice!